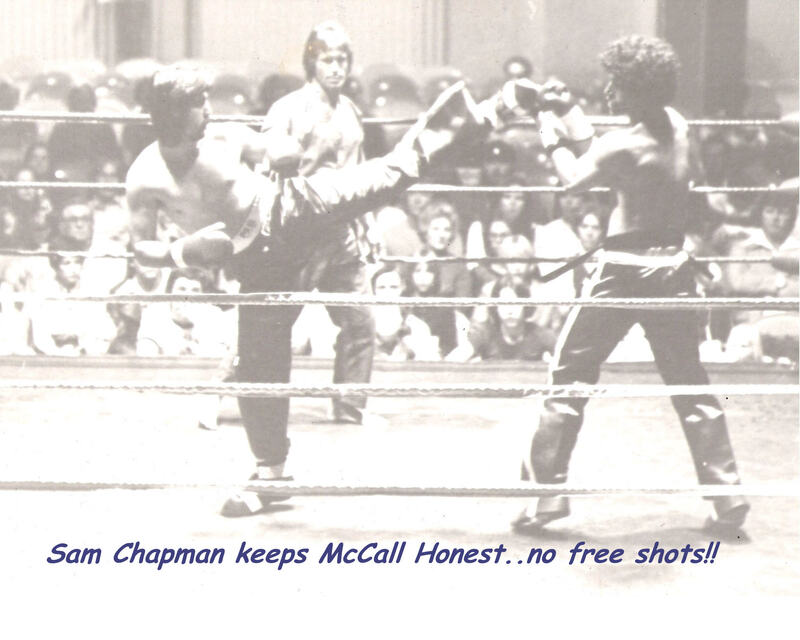 "I WALK ALONE" "Because I know the "WAY"
Mr. McCall was Ross Scott’s sparring partner in training for the Rhome World Title fight with Jerry Rhome. 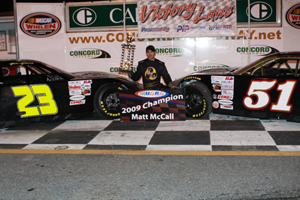 Ross won this fight after getting up from a first round knockdown and won the title. 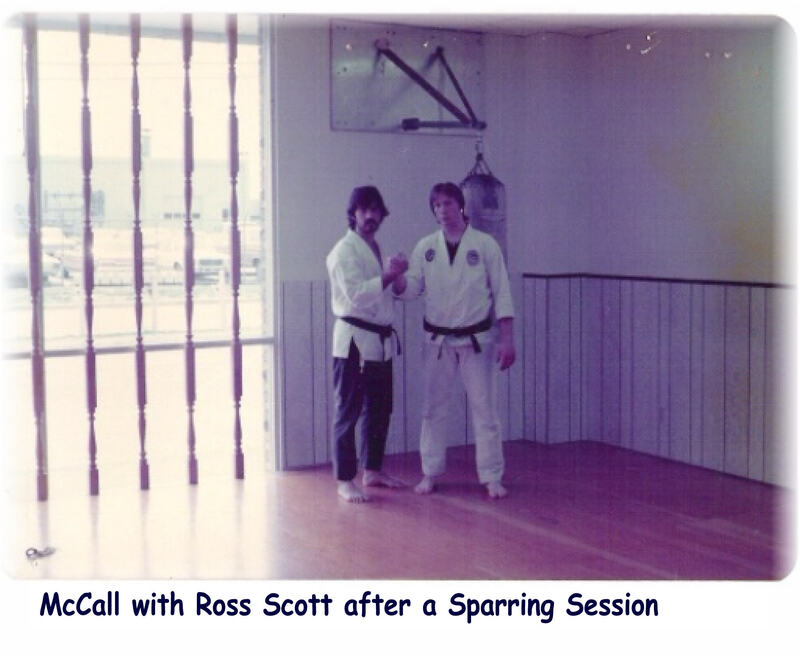 Mr. McCall trained with Glen Keeney and Parker Shelton (RIP)and many other world rated fighters and he trained with the best heavy weigh in the world ‘Ross Scott’. Kyoshi McCall said ”. I returned a better fighter and with total respect for Ross and Glen Keeney and Parker Shelton (rip) who are true Karate legends and pioneers in the karate world. Hanshi McCall martial arts instructor, administrator and former World Rated Full Contact Fighter holds an 9th degree Black belt in American Shorei/Shorin Karatedo, an 9th dan in American Freestyle Karate (Kyoshi Founded AFSK in 1976), a fourth degree Black Belt in Tae Kwon Do, and a first degree black sash in li Ki Kung Fu and Hish do Kwan. 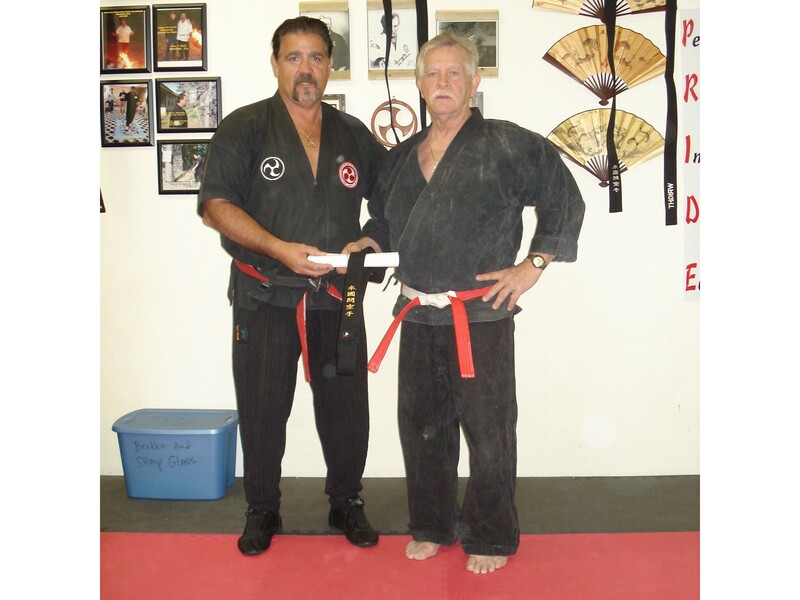 He holds certifications as a Coach/Instructor, Referee, Rank Examiner and Kata Judge. 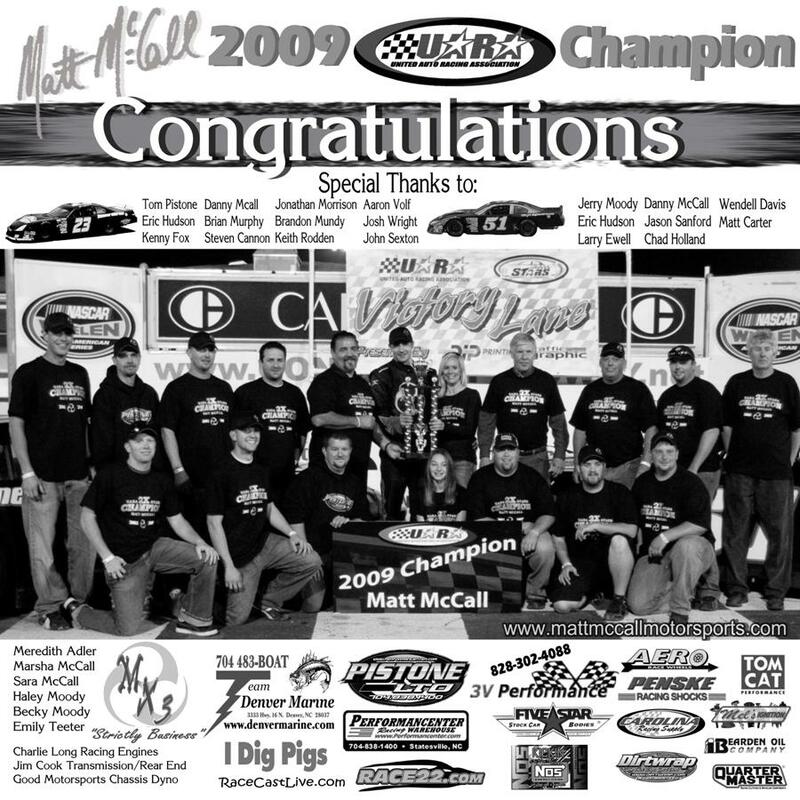 Mr. McCall has studied with the best of the best, which included, Joe Martin, Buddy Springs, Paul Storm, Ross Scott, Parker Shelton(RIP), Glenn Keeney, Bill Wallace, Joe Lewis (RIP), Marty Knight, Mike Genova, Bobby Tucker, Gary Lee, Ernie “Radar” Smith (RIP), Keith Vitali, Keith Haflich (RIP), Larry Hartsell (RIP) (one of Bruce lee's original student) and so many other great Karate Pioneers. 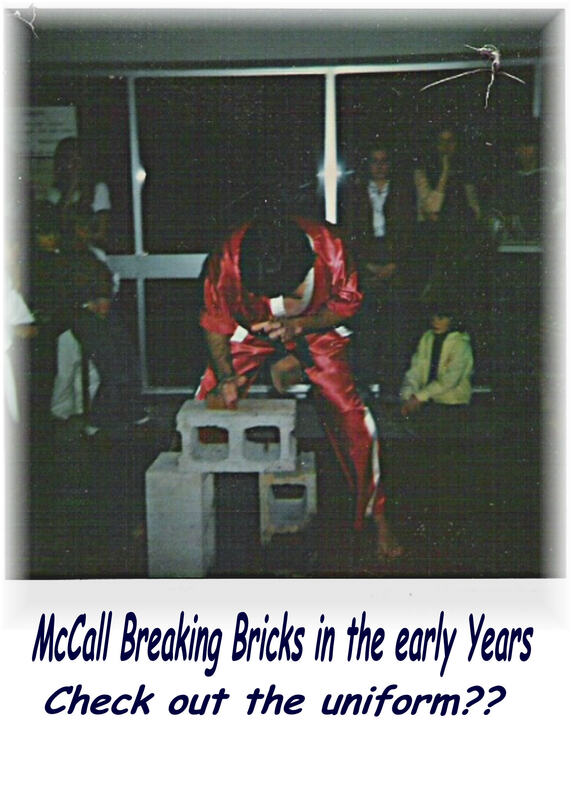 Mr. McCall began studying the martial arts in 1970 and competing in 1973. 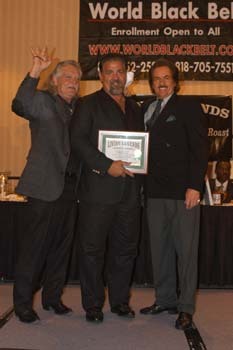 One of the top fighters on the East Coast from 1973 till 1999, he has placed or won in every tournament he has entered on the east coast. 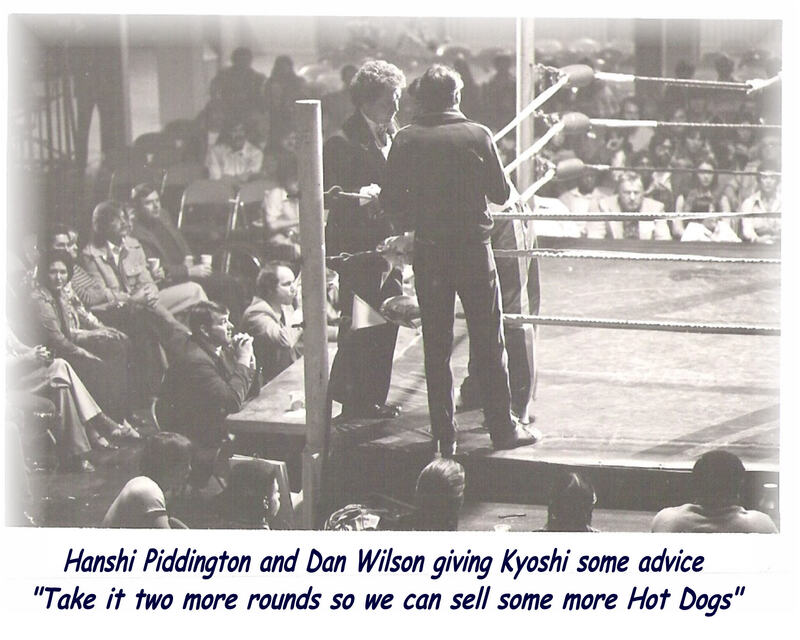 Some of his wins include, first place wins at the Appalachian Open(1982); South Piedmont Pro/Am Open; US Karate Olympics(1980,1981); South Carolina Team point Competition(1982);Kyo-Kushinkia , Kyoshi won the Full contact Bare-Knuckle Fight Competition(1981)(like his mentor Hanshi, McCall also loved Bare-knuckle fighting); Won Top ten Karate Fall Nationals(1981);Won The Greenville pro-Am (1980);Won USKA Grand Nationals(1977) 2nd place Battle of Atlanta(1977-83); Won executive fighting Battle of Atlanta(1987); Mr. McCall (Thunderbolt) was a member of the awesome undefeated Charlotte Warhawks; And many, many more Tournaments. 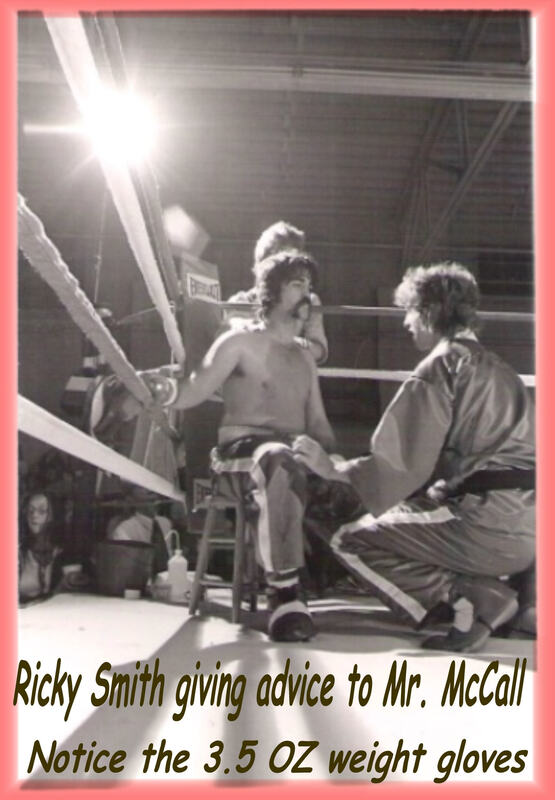 Mr. McCall has been rated in the top ten which was a big honor in the late 70’s and early 80’s as there was only one top ten Sanctioning body in the US. 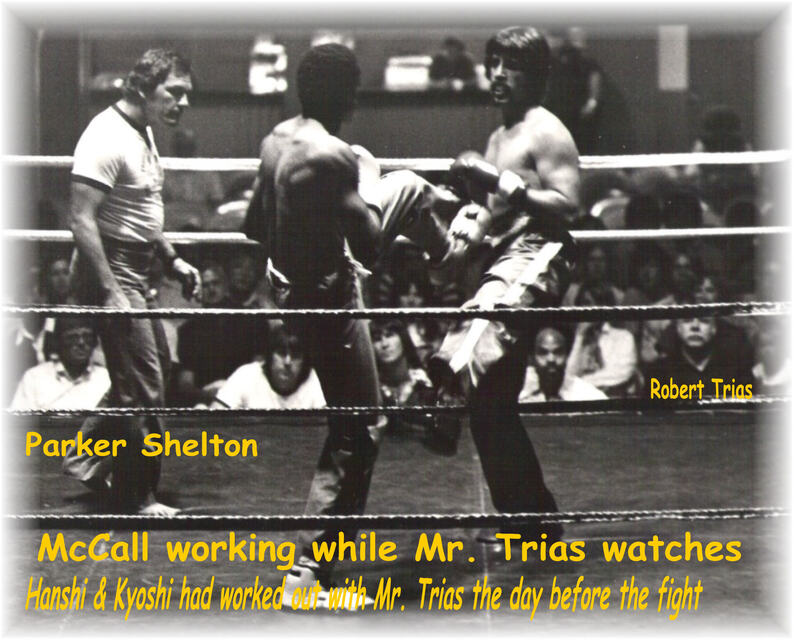 Kyoshi McCall has received numerous fighting awards from, AKA, NKA, and SEKA, was named “Fighter of the Year” by the Dojo Organization 1978; Official Karate’s Fighter of the year 1980. 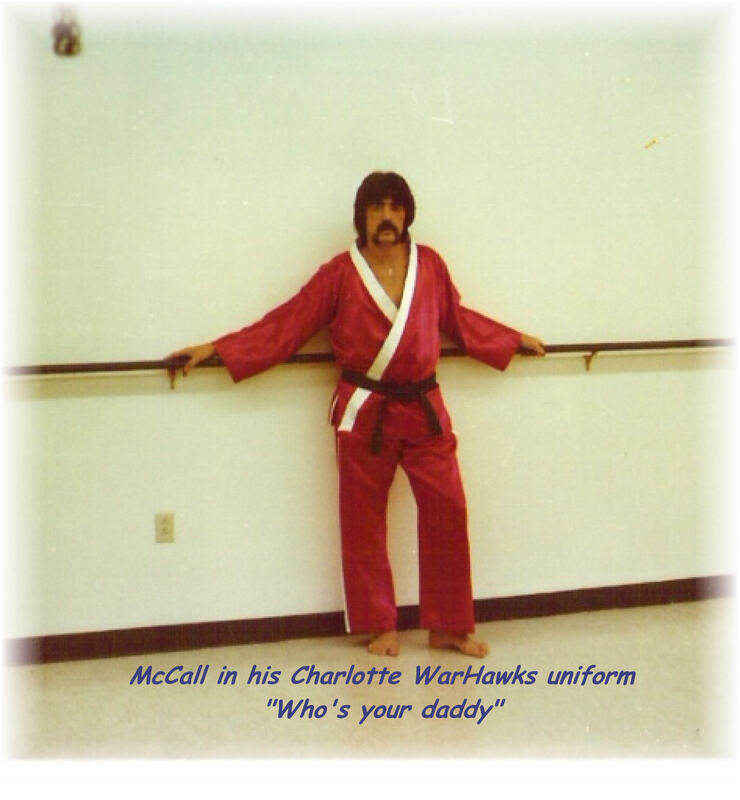 Danny McCall was the co-captain of the undefeated Charlotte Warhawks Kick Boxing Team.1974-1976. He was also the North Carolina Light Heavy weight and Heavy weight Champion and U.S. Full-Contact Champion (light-heavy & Heavy Weight). Rated No# 1 for 5 years with NKA. 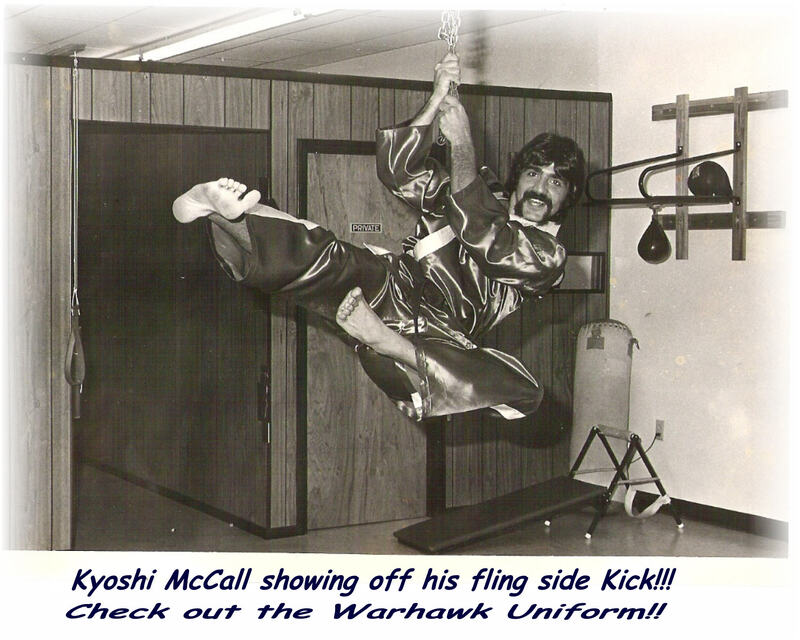 Kyoshi McCall was inducted as "Kyoshi of the Year" in the 2007 Universal Black Belt Hall of Fame in Texas . 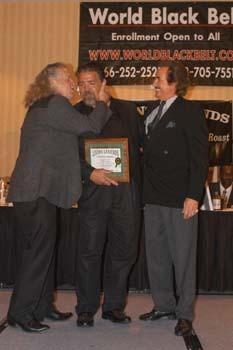 Hanshi McCall was Awarded the "Golden Life Time Achievement " in the 2008 World Union Karate Hall of Fame (June 28th 2008) in Tannersville, Pa.
Hanshi McCall was honored at the "2011 Dojo Organization Hall of Fame" as the "Greatest Heavy Wt. 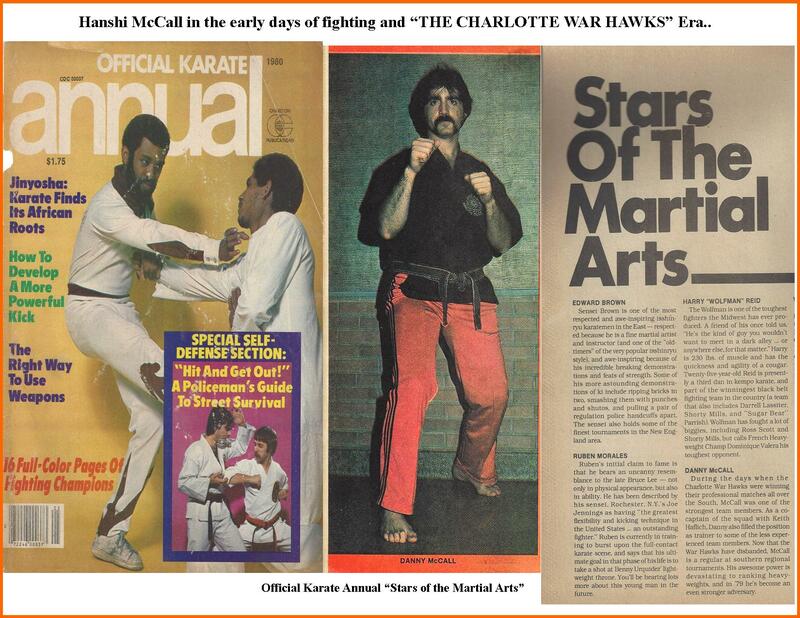 Fighters of his era"
Awarded 2014 "Man of the Year" at the Dixie National Karate Tournament Mr. Earwood & members of the SC Karate Hall of Fame. Presently, Mr. McCall still teaches 3 days a week as he has done for 40 years. Mr. Lingerfelt operates the studio in Fort Mill S.C. Mr. McCall and Mr. McClellan operate the studio in Denver N.C. . . . Mr. Carroll operates the School in Kings Mountain, N.C. ...Mr. Sharpe operates the Mt Holly school. 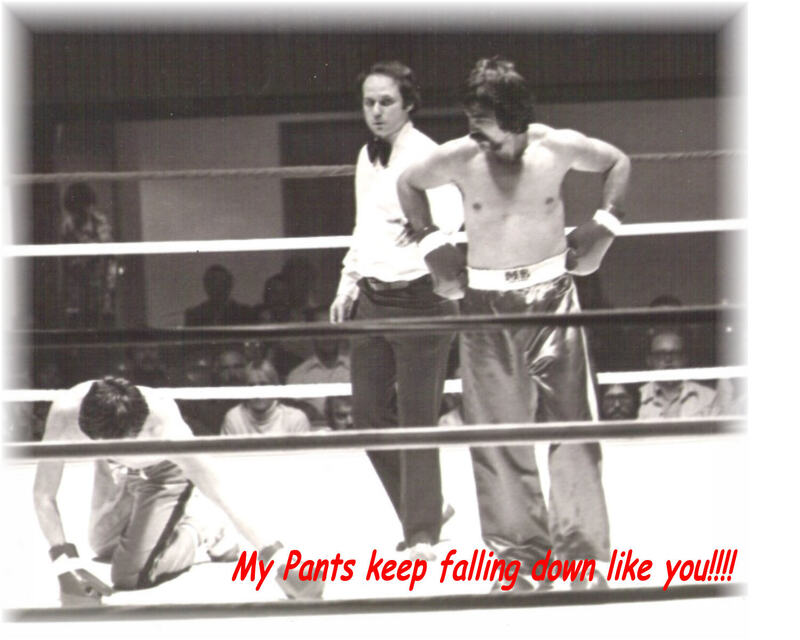 Hanshi McCall went to Sonora, Ca. April 5 thru 9 2007 to learn Firewalking from the Master Firewalking Instructor Tolly Burkan who is the most knowledgeable person in the world today on the art of Firewalking. Kyoshi McCall felt it was time for something new and choose to study and he has decided to explore Firewalking. Click here for more info Changed By Fire, Challenged By Life". 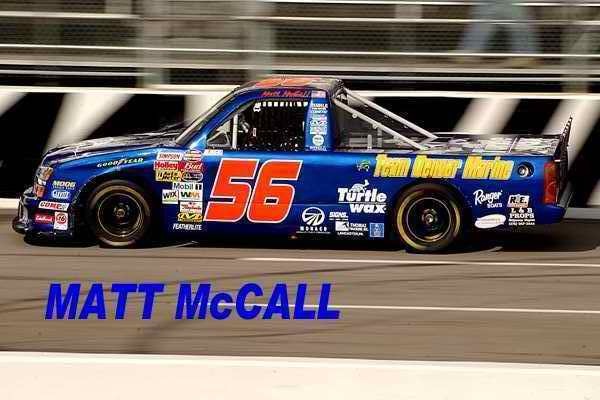 Mr. McCall with his son Matt (4th degree black belt), raced in the weekly NASCAR racing series. 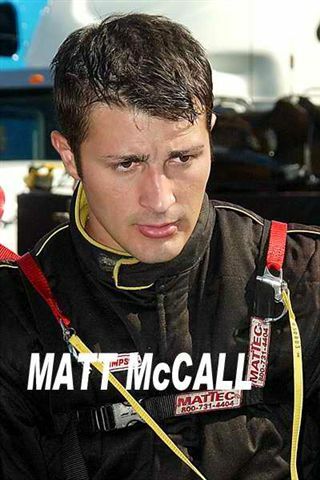 Matt McCall like his dad has become a champion at his sport of racing. 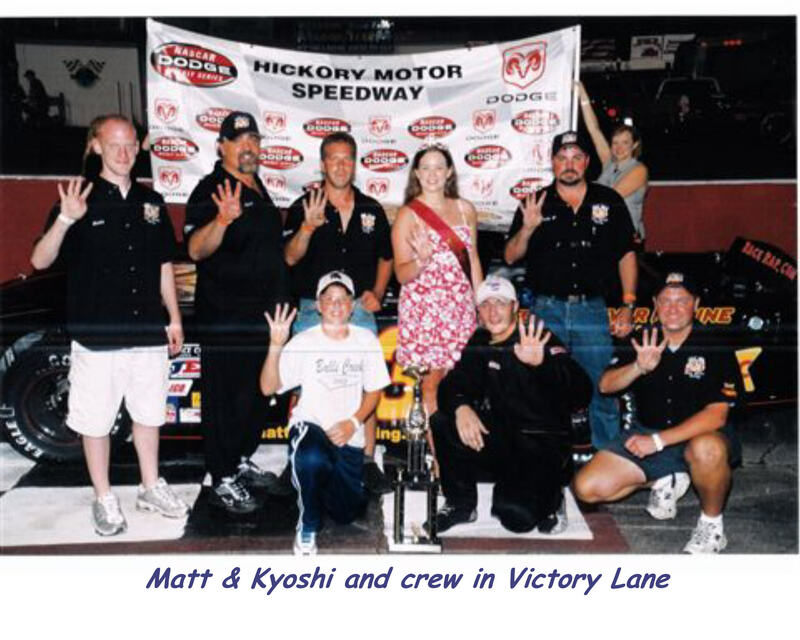 Matt McCall makes some time to assist Hanshi McCall in the karate school as well as work for Chip Ganassi Racing as a Crew Chief for Jamie McMurray. 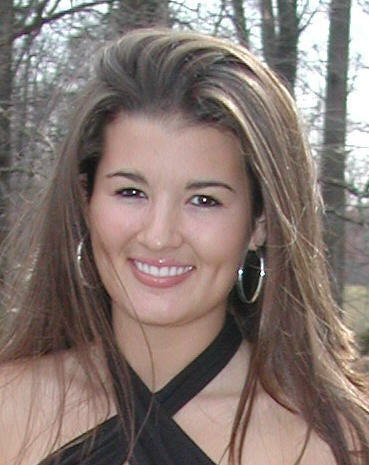 Special Sara McCall is Owns and operates for Stunning & Brillant in Surfside Beach after completing College at Coastal Carolina, with a Degree in Graphics Design . Sara was a very active cross-country runner while at North Lincoln. 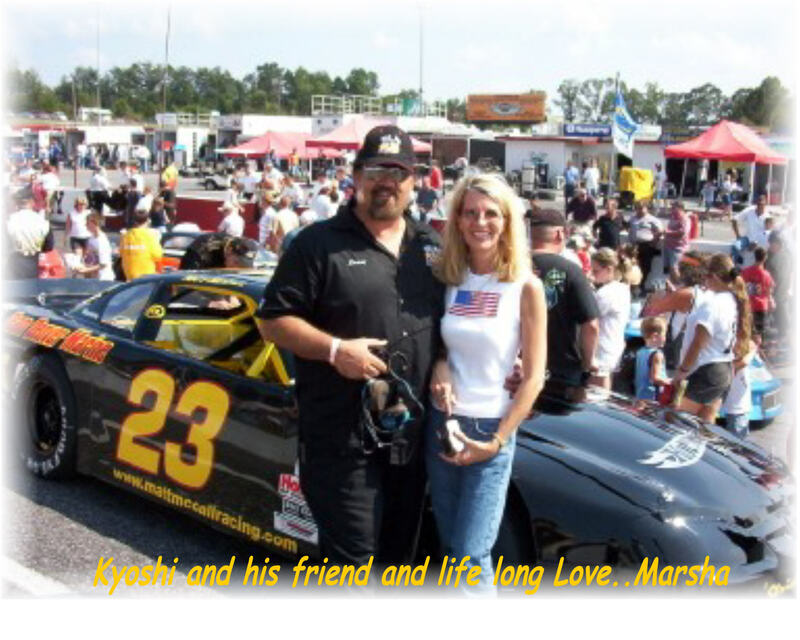 However basketball is her true love along with pursuing a modeling career or design of clothing and is the love of Hanshi's life. 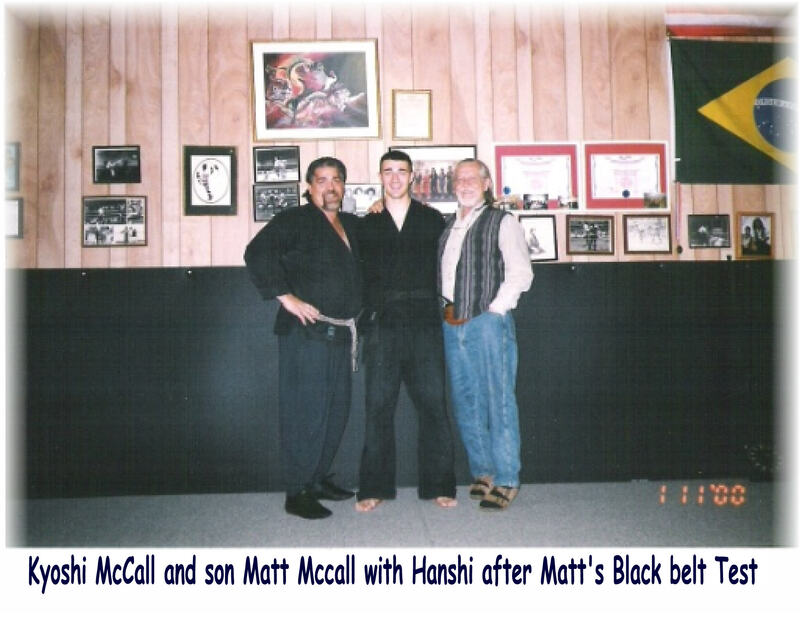 Mr. McCall wants all Martial Artists to share and give back as he and Hanshi have done all their life. 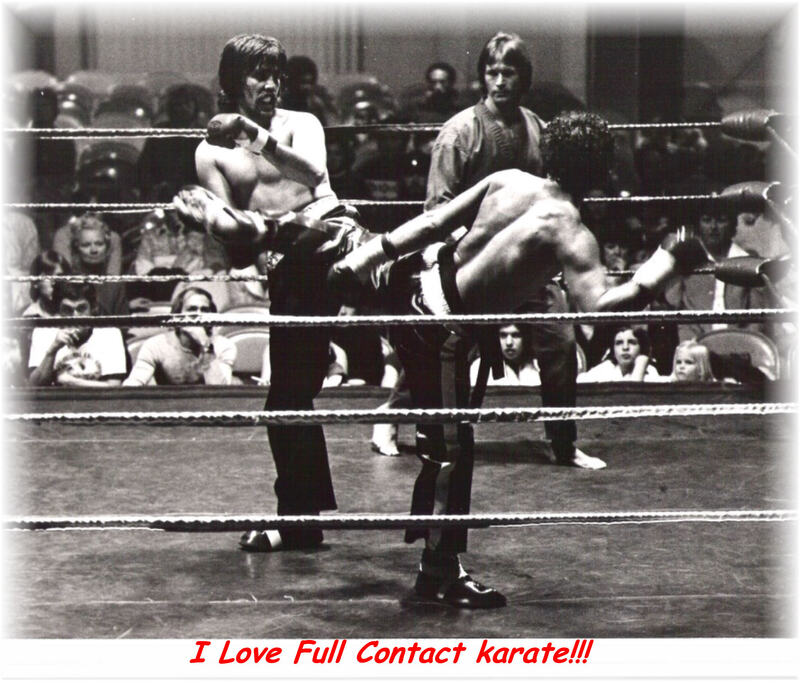 "I am first a martial artist, striving to teach and reach the highest level of living, through the Martial Arts world ." "I am committed to learning, to free my spirit, so I will become the best I can possible be. It will be them that I can stimulate, inspire, share powerful ideas and lead others to become the best they can possible be. Giving this unconditional love to my students gives me an overwhelming sense of self-fulfillment. It makes me happy and touches my spirituality!" "I know the martial arts is one of life's greatest gifts to create positive change in a students life.
" To be better today than I was yesterday is a great lesson for all. God is Good ! Keep him in your life! Hanshi McCall said "Black Belt's remember, "PAY ATTENTION" the student you teach next may save his or her life and start their journey of a dream to be the best at what ever they do. All Martial Artists should keep a journal and keep your schedule and goals near, as life is short. If you don’t have a target - what will you hit? If you don’t set goals for yourself, somebody else will. So make your life fun and plan to succeed. Please get yourself a mental management system that works for you. Imitate the Champions, train hard. Have big dreams! Dreams will drive you to accomplish great things. You are in control of you, what you focus on expands. In whatever you do. Have Fun!!! In a Warriors Heart !! There is No Surrender !! 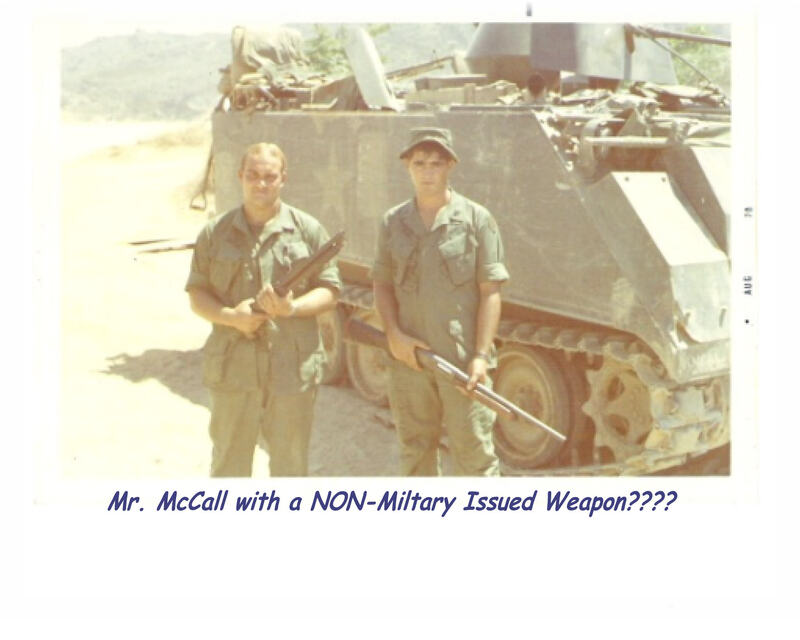 Mr. McCall knows what combat is -- he spent 3 years in the US Army and a year in the jungles of Vietnam. 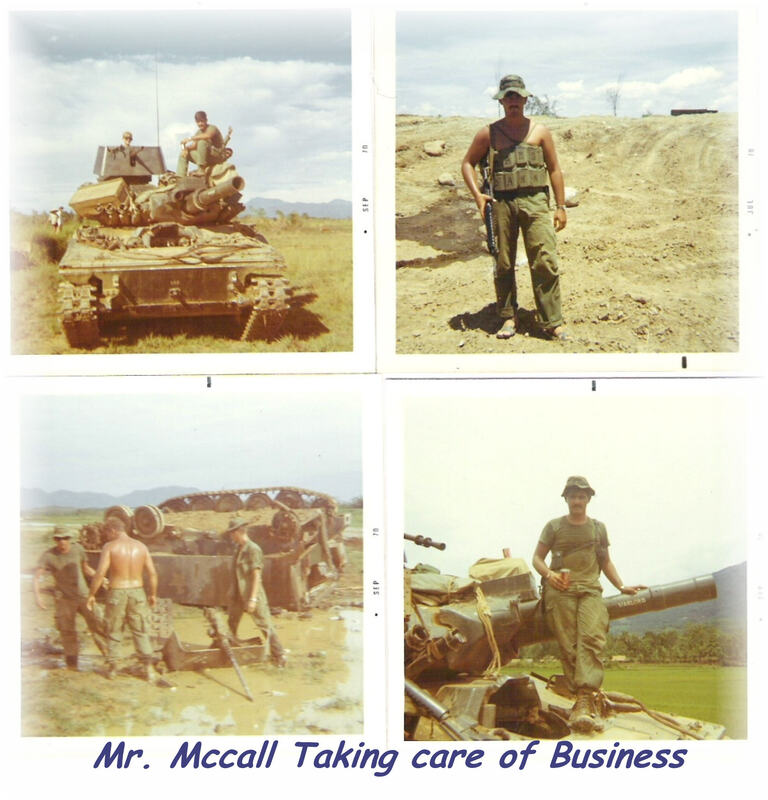 Mr. McCall was a Sergeant in the Army and received numerous awards for combat. Some of his Battle Awards include a Bronze Star, Silver Star, Air Medal and the Purple Heart for gun shot wounds received while in combat in Vietnam. 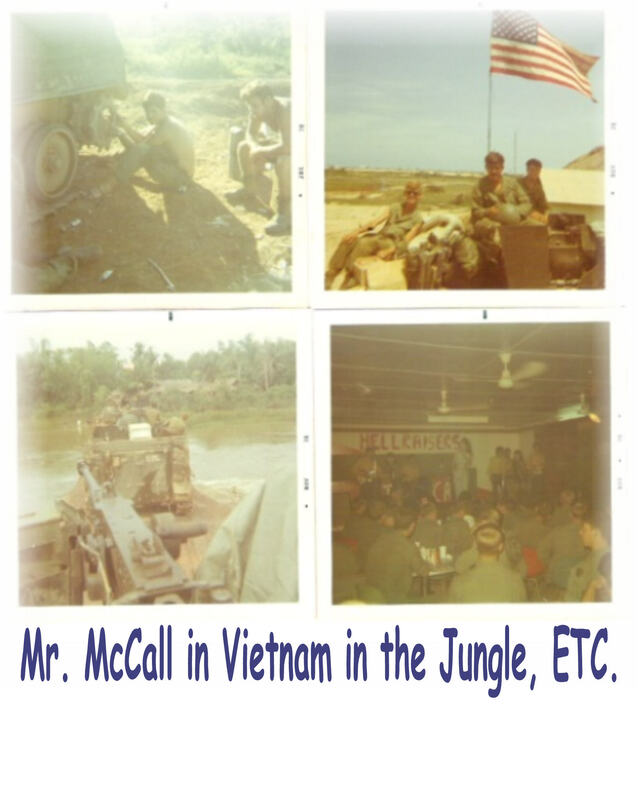 It was that day June 7th 1970 in Vietnam, Mr. McCall made a promise to always live each day as his last and look for the good in all people and let God lead him and guide him. "Forgive and Forget Daily "